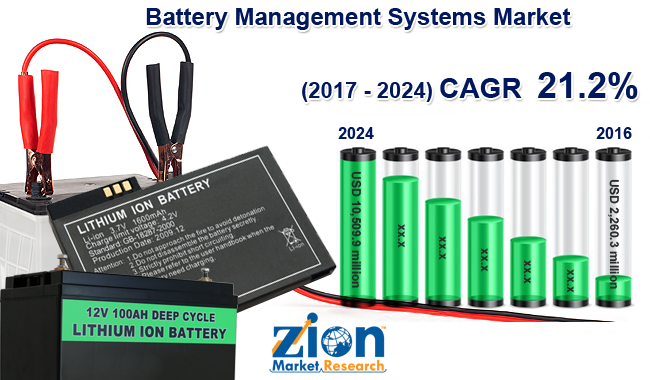 The major factor driving the growth of battery management systems market is the rising demand for ups system. The UPS systems are used as an essential power backup device. The accelerating shift toward the Internet of Things (IoT), digitization, and Hardware computing is increasing the adoption of uninterruptible power supply (UPS) systems across different applications globally. The UPS systems use computers to smoothen their workflows. E-Commerce, servers, data centers, and medical & electronic equipment need a high level of uninterrupted power supply and thus generating significant demand for a high power range of UPS systems in globally. Lithium-ion–based battery is mostly used battery type in the battery management systems. The lithium-ion batteries are widely used in applications in electric vehicles, portable devices, and renewable energy systems among others. The rising adoption of lithium-ion batteries in various applications and price reduction of Li-ion battery is expected to boost the growth of segment over the forecast period. The battery management system consists of two battery types, hardware, and software. The hardware segment of global battery management system market includes battery control unit, power management IC, and communication channel. The hardware segment accounted major share in the global battery management system market by battery type. However, the rising adoption of the sophisticated software's in battery management system is expected to drive the growth of softwares over the forecast period. The report includes detailed profiles of the prominent market players that are trending in the market. The list of the players that are compiled in the report is Ashwoods Electric Motors, Atmel Corporation, Elithion, Inc. AVL, Eberspächer, Ewert Energy Systems, Inc., Johnson Matthey, Linear Technology, Lithium Balance, Larsen & Toubro Limited, Midtronics, Mastervolt, Merlin, Nuvation Engineering, NXP Semiconductors, Navitas System, LLC Corporate, Panasonic Corporation, Texas Instruments Incorporated., TOSHIBA CORPORATION, Valence Technology, Inc., and VENTEC, and much more.